In 1800 Westminster announced Ireland had agreed to join the United Kingdom, mirroring the 1707 decision of Scottish lords. But, as it was in the case of Scotland where Scots were not consulted, the Irish too were sold down the river. It would take Ireland 130 years of brutal suppression, clearances, penal colony banishment and armed struggle to regain it’s independence from the most insidious form of governance the world has ever witnessed. This is wee taster. It is noteworthy that very many of the lies, deceit and brutality (the Scots’ 1745 refusal of obedience to “German Geordie”. Culloden and 50 years of martial Law inflicted on the highlanders.) had been practised on Scot’s in the ninety years’ that had elapsed since the “Act of Union” had been signed. Westminster politicians simply implemented their dastardly plans well knowing, (through their successful subjugation of the Scots) the effects their political expediency would have on the Irish, placing English desires for expansion above morality. The French revolution caused great concern in Westminster. The very thought that the public would be paramount in decisions about how a country would be governed almost caused apoplexy within royal circles, the ruling class and amongst Westminster politicians. Their was much talk of war and the religious leanings of the Irish towards Rome. Something needed to be done. The horror of death lay over Ireland; cruelty and terror raised to a frenzy; government by martial law; a huge army (upwards of 170 battalions of infantry and artillery) occupying the country. In that dark time the plan for the Union with England, secretly prepared in London, was announced to the Irish parliament. It seemed that England had everything to gain by a union. There was one objection. There was fear that a hundred Irishmen would strengthen the democratic side of the English parliament; others that their eloquence would lengthen and perhaps confuse debates. But it was held that a hundred members would be lost in the British parliament, and that Irish doctrines would be sunk in the sea of English common sense. In Ireland a union was detested as a conspiracy against its liberties. The parliament at once rejected it; no parliament, it was urged, had a right to pass an act destroying the constitution of Ireland, and handing over the dominion to another country, without asking consent of the nation. Pitt, the British Prime Minister refused to have anything to say to this Jacobin doctrine of the sovereignty of the people. A doctrine he would oppose wherever he encountered it. 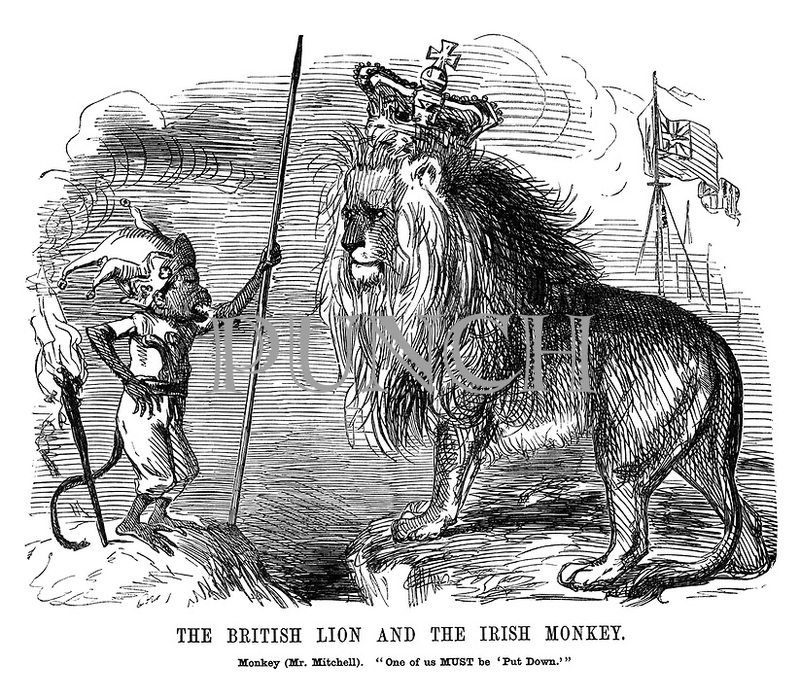 The Union, Pitt said, was no proposal to subject Ireland to a foreign yoke, but a voluntary association of two great countries seeking their common benefit in one empire. All reforms were refused the outrageous system of collecting tithes, the disabilities of Catholics so as to keep something to bargain with; 137,000 armed men were assembled in Ireland. But amid the universal detestation and execration of a Union the government dared not risk an election, and proceeded to pack the parliament privately. 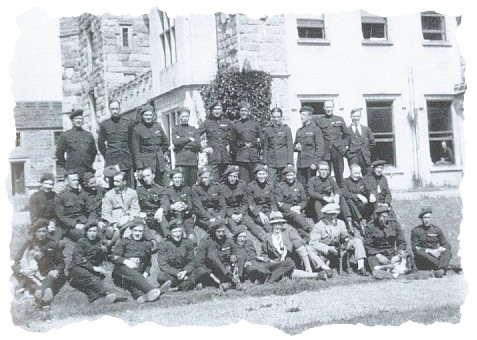 By official means the Commons were purged of sixty-three opponents, and safe men put in, some Englishmen, some staff-officers, men without a foot of land in Ireland. There were, contrary to one of the new laws, seventy-two place-holders and pensioners in the House. Fifty-four peerages were given to buy consciences. The borough-holders were offered 1 ¼ millions to console them for loss in sale of seats. There was a host of minor pensions. Threats and disgrace were used to others. Large sums were sent from London to bribe the Press, and corrupt the wavering with ready money. Pitt pledged himself to emancipation. Thus in 1800, at the point of the sword, and amid many adjurations to speed from England, the Act of Union was forced through the most corrupt parliament ever created by a government. It was said that only seven of the majority were no bribed. An Act “formed in the British cabinet, unsolicited by the Irish nation,” “passed in the middle of war, in the centre of a tremendous military force, under the influence of immediate personal danger,” was followed, as wise men had warned, by generations of strife. A hundred years of ceaseless agitation, from the first tragedy of an abortive rising in 1803, proclaimed the undying opposition of Irishmen to a Union that from the first lacked all moral sanction. An English parliament, all intermediate power being destroyed, was now confronted with the Irish people. Of that people it knew nothing, of its national spirit, its conception of government or social life. The history and literature which might reveal the mind of the nation is so neglected that to this day there is no means for its study in the Imperial University, nor the capital of Empire. Promises were lavished to commend the Union. Ministers assured Ireland of less expenditure and lighter taxation: with vast commerce and manufactures, a rise in the value of land, and a stream of English capital and industry. All contests being referred from the island to Great Britain to a body not like the Irish influenced by prejudices and passions. Ireland would for the first time arrive at national union. The passing over to London of the chief part of Irish intelligence and wealth would give to Ireland “a power over the executive and general policy of the Empire which would far more than compensate her”; and would, in fact, lead to such a union of hearts that presently it would not matter, Pitt hoped, whether members for Ireland were elected in Ireland or in England. Ireland would also be placed in “a natural situation,” for by union with the Empire she would have fourteen to three in favour of her Protestant establishment, instead of three to one against it as happened in the country itself; so that Protestant ascendency would be for ever assured. The Catholics, however, would find in the pure and serene air of the English legislature impartial kindness, and the poor might hope for relief from tithes and the need of supporting their clergy. All Irish financiers and patriots contended that the fair words were deceptive, and that the Union must bring to Ireland immeasurable disaster. Any discussion of the Union in its effect on Ireland lies apart from a discussion of the motives of men who administered the system in the last century. The system itself, wrongly conceived and wrongly enforced, contained the principles of ruin, and no good motives could make it work for the benefit of Ireland, or, in the long run, of England. Oppressive financial burdens were laid on the Irish. Each country was for the next twenty years to provide for its own expenditure and debt, and to contribute a sum to the general expenses of the United Kingdom, fixed in the proportion of seven and a half parts for Great Britain and one part for Ireland. The debt of Ireland had formerly been small; in 1793 it was 2 ¼ millions; it had risen to nearly 28 millions by 1801, in great measure through the charges of Clare’s policy of martial law and bribery. In the next years heavy loans were required for the Napoleonic war. 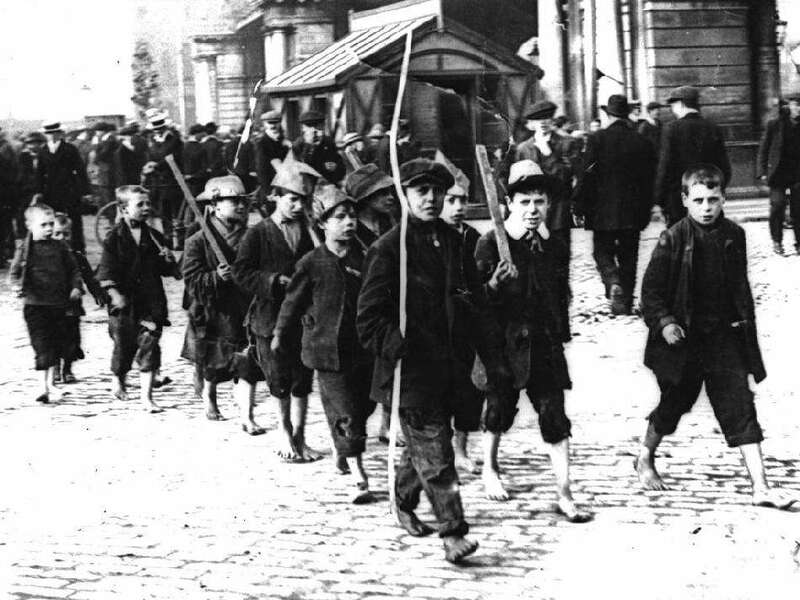 When Ireland, exhausted by calamity, was unable to pay, loans were raised in England at heavy war-rates and charged to the public debt of Ireland. In 1817 the Irish debt had increased more than fourfold, to nearly 113 millions. No record was made in the books of the Exchequer as to what portion of the vast sums raised should in fairness be allotted to Ireland; there is no proof that there was any accuracy in the apportionment. 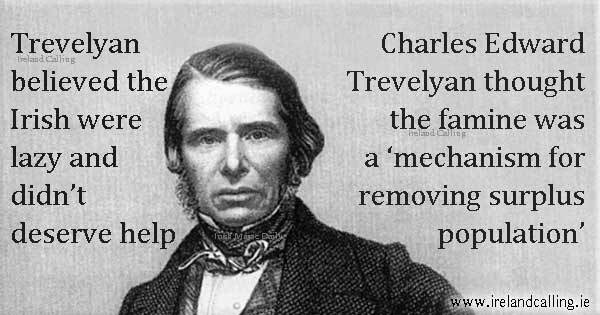 The promised lighter taxation ended in a near bankruptcy, and the approach of an appalling famine in 1817. Bankruptcy was avoided by uniting the two treasuries to form one national debt—but the burden of Ireland remained as oppressive as before. Meanwhile the effect of the Union had been to depress all Irish industries and resources, and in these sixteen years the comparative wealth of Ireland had fallen, and the taxes had risen far beyond the rise in England. The people sank yet deeper under their heavy load. The result of their incapacity to pay the amount fixed at the Union was, that of all the taxes collected from them for the next fifty-three years, one-third was spent in Ireland, and two-thirds were absorbed by England; from 1817 to 1870 the cost of government in Ireland was under 100 millions, while the contributions to the imperial exchequer were 210 millions, so that Ireland sent to England more than twice as much as was spent on her. The tribute from Ireland to England in the last ninety-three years, over and above the cost of Irish administration, has been over 325 millions. A sum which would probably be much increased by a more exact method both of recording the revenue collected from Ireland and the “local” and “imperial” charges, so as to give the full Irish revenue, and to prevent the debiting to Ireland of charges for which she was not really liable. While this heavy ransom was exacted Ireland was represented as a beggar, never satisfied, at the gates of England. Later, in 1852, Gladstone began to carry out the second part of the Union scheme, the indiscriminate taxation of the two countries. In a few years he added two and a half millions to Irish taxation, at a moment when the country, devastated by famine, was sinking under the loss of its corn trade through the English law, and wasting away by emigration to half its former population. In 1896 a Financial Commission reported that the Act of Union had laid on Ireland a burden it was unable to bear; and that, in spite of the Union pledge that the ability of Ireland to pay should always be taken into account, she was paying one-eleventh of the tax revenue of the United Kingdom while her taxable capacity was one-twentieth or less. While Great Britain paid less than two shillings in every pound of her taxable surplus, Ireland paid about ten shillings in every pound of hers. No relief was given. 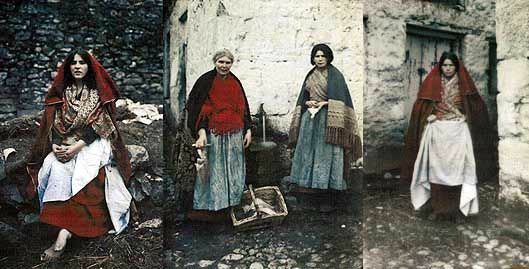 Under this drain of her wealth the poverty or Ireland was intensified, material progress was impossible, and one bad season was enough to produce wide distress, and two a state of famine. Meanwhile, the cost of administration was wasteful and lavish, fixed on the high prices of the English scale, and vastly more expensive than the cost of a government founded on domestic support and acceptable to the people. The doom of an exhausting poverty was laid on Ireland by a rich and extravagant partner, who fixed the expenses for English purposes, called for the money, and kept the books. The Union intensified the alien temper of Irish government. Dublin Castle, no longer controlled by an Irish parliament, entrenched itself more firmly against the people. Some well meaning governors went over to Ireland, but the omnipotent Castle machine broke their efforts for impartial rule or regard for the opinion of the country. The Protestant Ascendancy openly reminded the Castle that its very existence hung on the Orange associations. 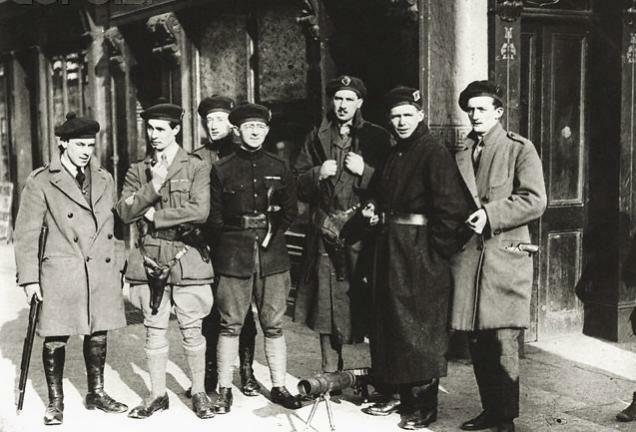 Arms were supplied free from Dublin to the Orange-men while all Catholics were disarmed. Juries were packed by the sheriffs with Protestants, by whom all Orange-men were acquitted, all Catholics condemned, and the credit of the law lowered for both by a system which made the juryman a tool and the prisoner a victim. It is strange that no honest man should have protested against such a use of his person and his creed. But jury-packing with safe men remained the invariable custom till 1906. Nothing but evil to Ireland followed from carrying her affairs to an English parliament. The government refused the promised emancipation, refused tithe reform. Englishmen could not understand Irish conditions. The political economy they advocated for their own country had no relation to Ireland. The Irish members found themselves, as English officials had foretold in advocating the Union, a minority wholly without influence. Session after session, one complained, measures supported by Irish members, which would have been hailed with enthusiasm by an Irish parliament, were rejected by the English. Session after session measures vehemently resisted by the Irish members were forced on a reluctant nation by English majorities. When Ireland asked to be governed by the same laws as England, she was told the two countries were different and required different treatment. When she asked for any deviation from the English system, she was told that she must bow to the established laws and customs of Great Britain. The reports of royal commissions fell dead such as that which in 1845 reported that the sufferings of the Irish, borne with exemplary patience, were greater than the people of any other country in Europe had to sustain. Nothing was done. Instead of the impartial calm promised at the Union, Ireland was made the battle-cry of English parties; and questions that concerned her life or death were important at Westminster as they served the exigencies of the government or the opposition. All the dangers of the Union were increased by its effect in drawing Irish landlords to London. Their rents followed them, and the wealth spent by absentees founded no industries at home. 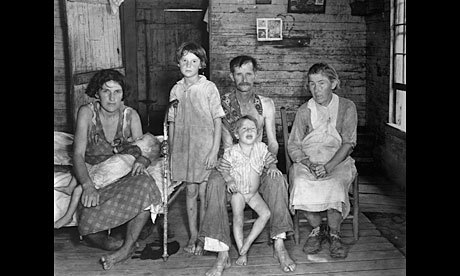 A land system brought about by confiscation, and developed by absentees, meant unclaimed wastes, lands half cultivated, and neglected people. To pay rent and taxes in England the toilers raised stores of corn and cattle for export there, from the value of eight million pounds in 1826 to seventeen million pounds of food stuffs in 1848, and so on. They grew potatoes to feed themselves. If the price of corn fell prodigiously. As at the end of the Napoleonic war, or at the passing of the corn laws in England. The cheaper bread was no help to the peasants, most of whom could never afford to eat it; it only doubled their labour to send out greater shiploads of provisions for the charges due in England. On the other hand, if potatoes rotted, famine swept over the country among its fields of corn and cattle. 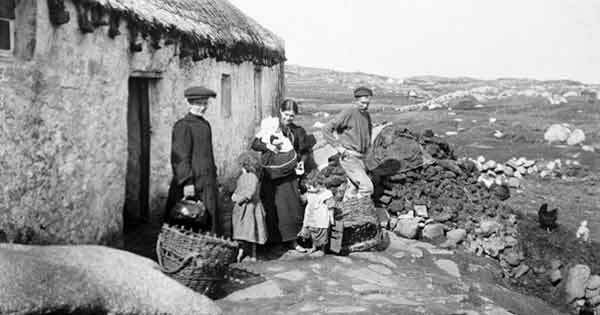 And when rent failed, summary powers of eviction were given at Westminster under English theories for use in Ireland alone; “and if anyone would defend his farm it is here denominated rebellion.” Families were flung on the bogs and mountain sides to live on wild turnips and nettles, to gather chickweed, sorrel, and seaweed, and to sink under the fevers that followed vagrancy, starvation, cold, and above all the broken hearts of men hunted from their homes. In famine time the people to save themselves from death were occasionally compelled to use blood taken from live bullocks, boiled up with a little oatmeal; and the appalling sight was seen of feeble women gliding across the country with their pitchers, actually trampling upon fertility and fatness, to collect in the corner of a grazer’s farm for their little portion of blood. Five times between 1822 and 1837 there were famines of lesser degree: but two others, 1817 and 1847, were noted as among the half-dozen most terrible recorded in Europe and Asia during the century. From 1846 to 1848 over a million lay dead of hunger, while in a year food-stuffs for seventeen million pounds were sent to England. 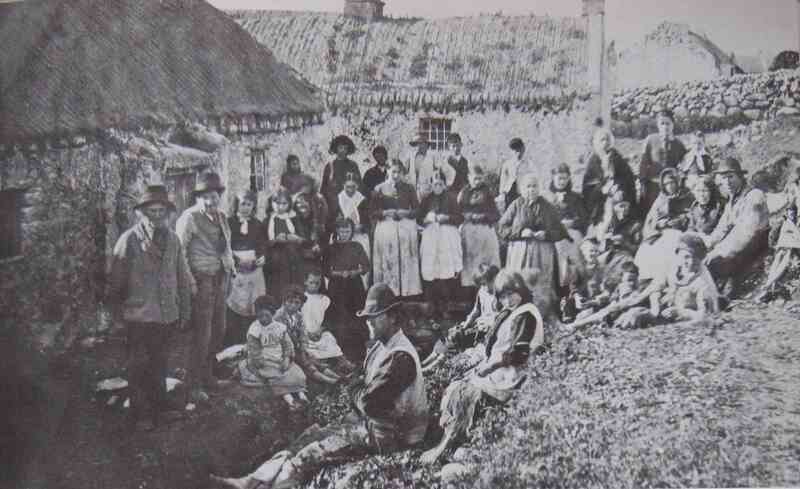 A starving Irish family from Carraroe, County Galway, during the Famine. Source: National Library of Ireland. English soldiers guarded from the starving the fields of corn and the wagons that carried it to the ports; herds of cattle were shipped, and skins of asses which had served the famishing for food. They died, or fled in hosts to America. Ireland pouring out on the one side her great stores or “surplus food,” on the other her “surplus people,” for whom there was nothing to eat. In the twenty years that followed the men and women who had fled to America sent back some thirteen millions to keep a roof over the heads of the old and the children they had left behind. It was a tribute for the landlords’ pockets. A rent which could never have been paid from the land they leased. 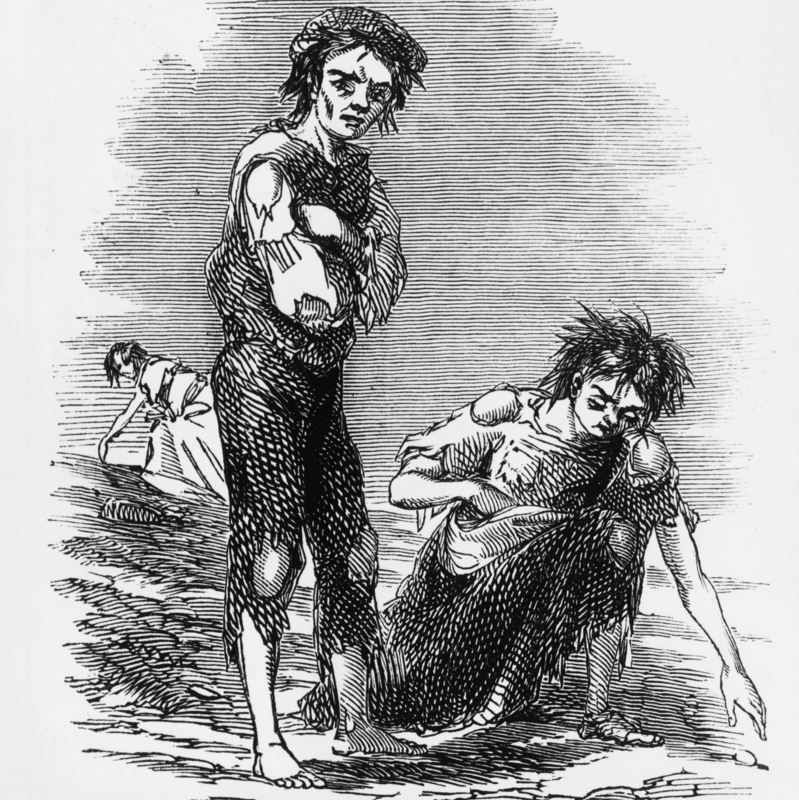 The loans raised for expenditure on the Irish famine were charged by England on the Irish taxes for repayment. No Irish parliament, no matter what its constitution, could have allowed the country to drift into such irretrievable ruin. 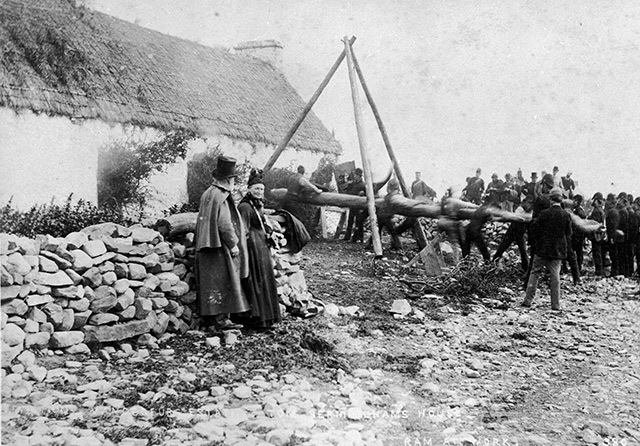 In the whole of Irish history no time brought such calamity to Ireland as the Victorian age. “I leave Ireland,” said one, “like a corpse on the dissecting table.” “The Celts are gone,” said Englishmen, seeing the endless and disastrous emigration. Thanks for this well researched blog. Please consider citing more sources. I am also wondering of the real relevance between the French revolution and the treatment of Ireland circa 1800. I don’t think think the result would have been any different if the French situation was status quo.